For those of you that haven’t watched every ski film known to man, here’s your chance to educate yourself on all of the greatest. 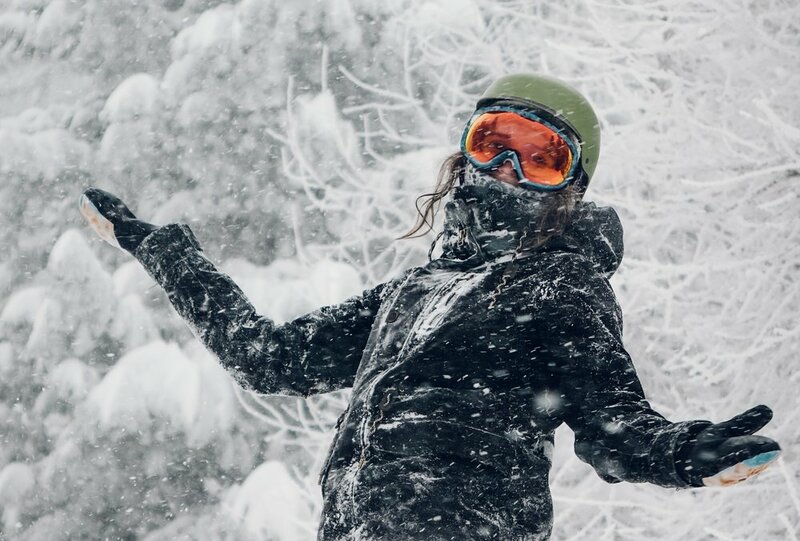 From every episode of the Line Travelling Circus to Shane McConkey, Paddy Graham and lesser-known Gpsyfeelin, you’ll be craving a bluebird powder day once the weather has cleared. With heaps of fresh snow, it is the perfect time to create an igloo. All you need is a few labourers to put in a few hours of graft. What’s more, your drinks will be kept chilled and your new igloo is the perfect set-up for a couple of cheeky bevvies with pals. Once the visibility is better and you can actually see a metre or more in front of you, this is the perfect opportunity to practise your park tricks with an ultra-soft landing. Even if it's out the back of your apartment, all you need is a shovel and some friends to build up a little kicker, and the jibbing can commence. Lifts shut? Well then, once you’ve finished your movie marathon you may as well head down to après – and chances are everyone else has had the same idea. This might lead to a rather raucous afternoon but who’s complaining? Time well spent we say. A lens designed specifically for low light conditions is a lifesaver for those days were visibility is shocking and you can barely see the piste markings. Although they are not going to be as efficient as a pair of night vision goggles in the dead of night, they should help. Look for lenses with high contrast or goggles specifically for flat light conditions. If you do venture out on to the mountain, it's a good idea to ski amongst the trees. They will help you see where you are going and prevent you from skiing off into the abyss. If there aren't any trees, be careful to stay within the piste markers and never ski down closed pistes. Nothing soothes aching muscles like a day of rest and relaxation in the spa, whether it’s a massage, steam room or jacuzzi. If the pennies are tight then a hot bubble bath will do! Instead of splashing your money on ten overpriced beers at aprés, make your body a temple and invest in some self-care. If the forecast says it’s going to clear in the morning, then you’ll want to be up early so you can be the one carving the first tracks. Make the most of good conditions and treat yourself to a hangover-free day of shredding!